It’s just about time to dust off the backpacks, get the lunch boxes ready and send the kids back to school. After a summer of laying by the pool, sleeping in and goofing off, we realize that not every student will be psyched about buckling down once again. If your kids are feeling first day jitters, a little bummed to get back in class or if it’s their first day of school ever, we have some great ideas for you. 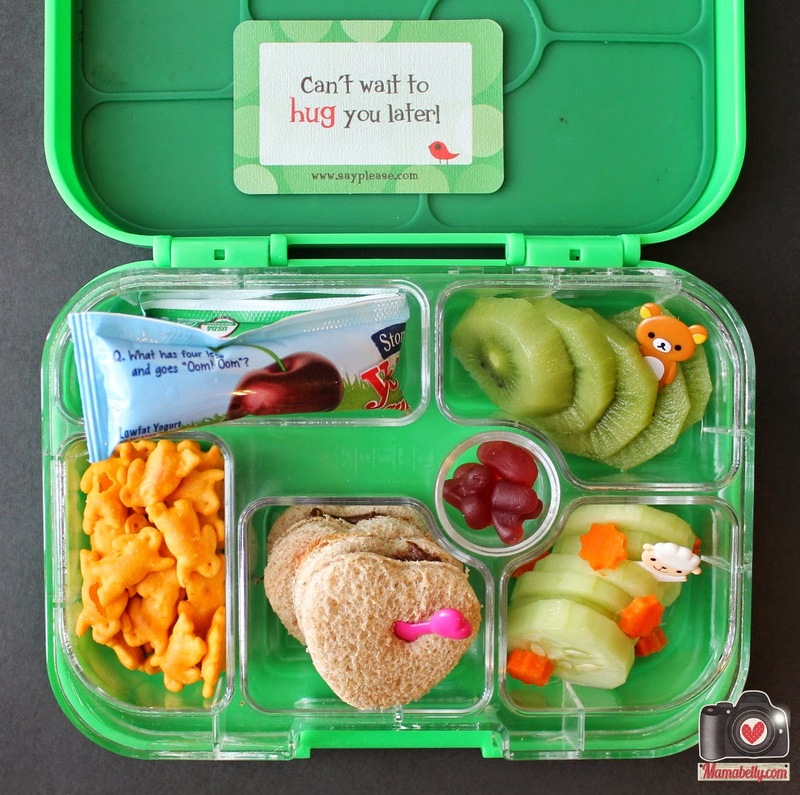 Make day one extra special and worry-free by following some of these tips and packing great lunch snacks, notes and crafts into their back packs. Make your first day of school wake-up-call a sweet one. 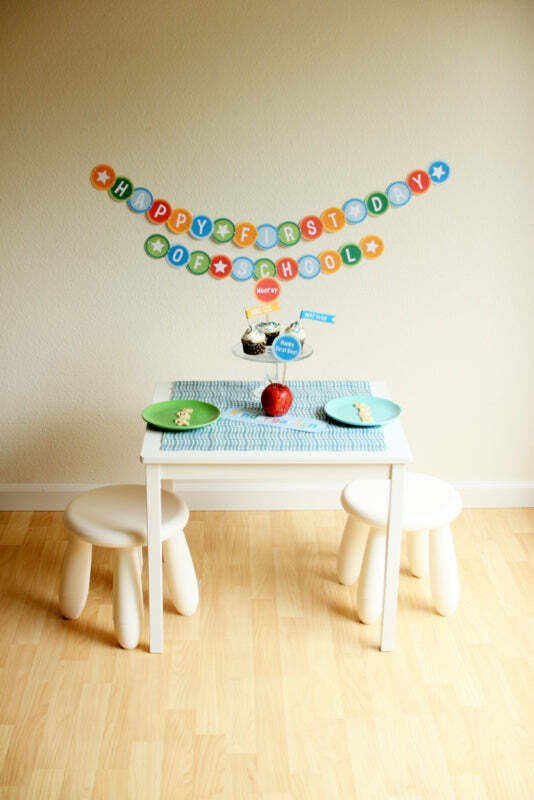 All you need to do is decorate the table with school-themed garlands, printables like apples or bookworms and use school colors. Then, your about-to-be students will wake up on the right side of the bed. It’s just an extra step you can complete to ease any of their worries and make school something they’ll look forward to. 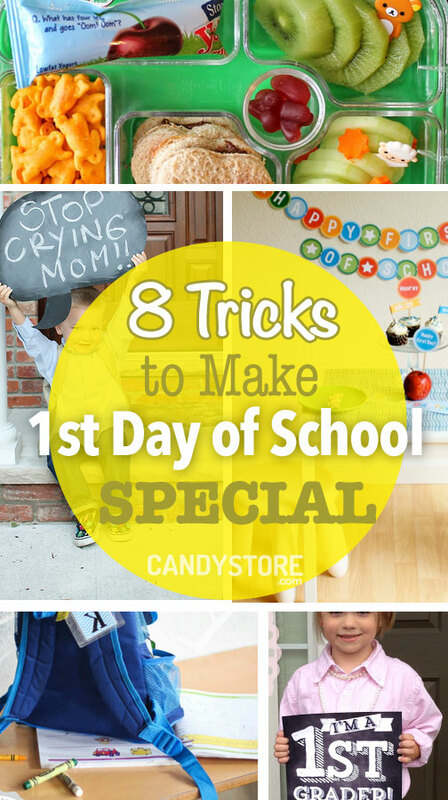 If you want to make your own “first day of school” garland, follow the tutorial. Pack a lunch box note. Lunch is a time to re-energize. 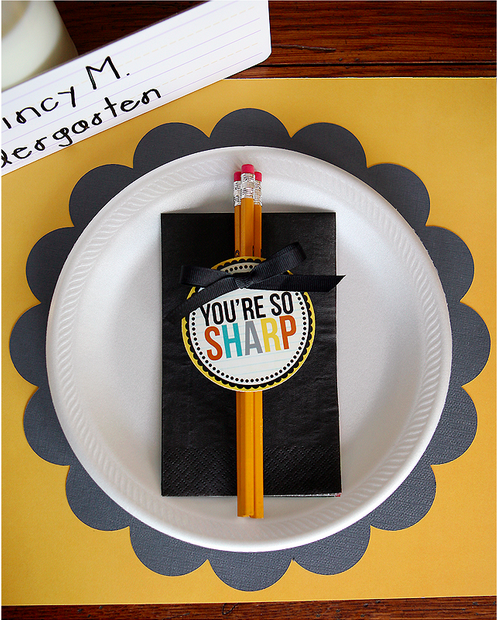 Give your scholars an energy boost and emotional lift by stuffing personalized notes into their lunch boxes. From inside jokes to inspirational quotes to brain teasers and more, you can come up with a ton of fun messages they’ll look forward to opening. Either print off some pre-made notes or use personalized stationary to create your own. No matter how you do it, your kids will smile when they see how much you care. Get your kids excited for their big day by making it a momentous occasion. Before you get them in the car to drop them off or loaded onto the bus, stage a photo-op that makes them the star of the show. Just print off or hand draw a sign with the grade they’re entering, have them dress their best and give them the sign to hold up as you snap a few photos. By making the first day of school a big deal, they’ll see the fun in it. You’ll also be able to print off the photo and put it on the fridge to remind them of how proud you are to see them start a new school year. Break the ice with a good joke. Get your kids to crack a smile and they’ll forget all about the first day of school jitters or grumpiness. This can be done by telling them a knee-slapper at the breakfast table or packing a joke into their backpack. We personally like: “Why didn’t the sun go to college? Because it already had a million degrees!” You can get inspiration from this helpful list or try to come up with some jokes on your own. 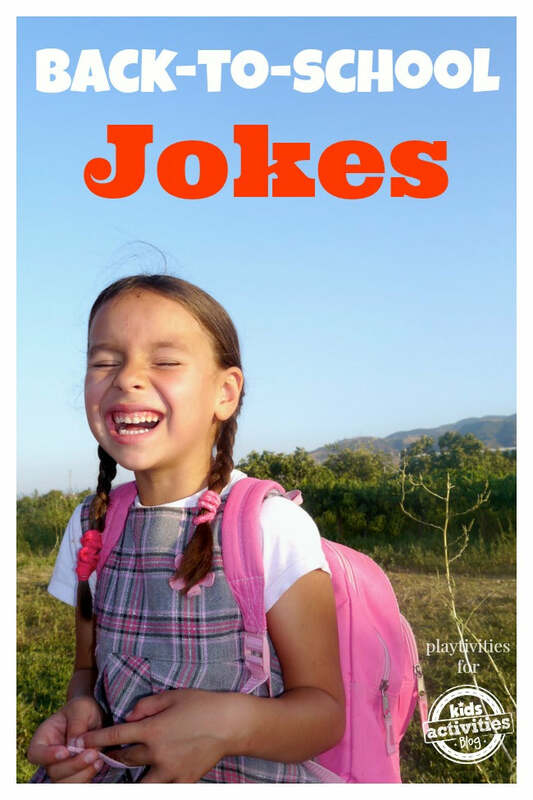 You can even make it more fun by having a contest between who can tell the funniest back-to-school joke. Just use your funny bone to guide you and your kids will walk in on the first day with smiles on their faces. Giving a backpack a little pizazz can do wonders for morale. 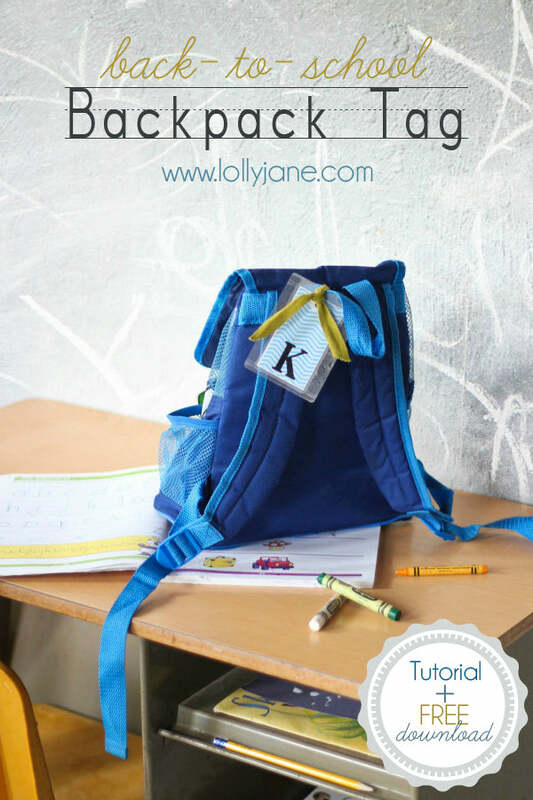 Personalize your child’s backpack with a monogrammed tag that you can both make together or that they can style on their own. The best part about these are that they’re totally customizable for boys and girls and different likes and dislikes. Plus, they’ll immediately be known as the creative one in class and will have something to talk about with classmates as soon as they arrive. Traditions turn every occasion into something the whole family can look forward to. 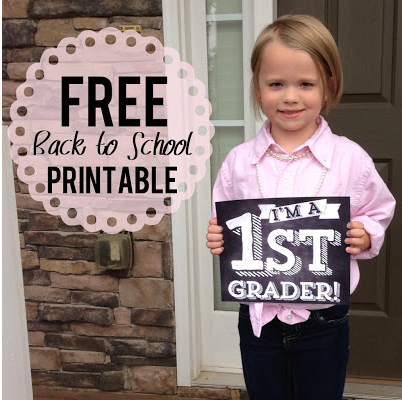 Why not create your own for the first day of school with some of these photoshoot ideas? Try first and last day photo pairings of every school year that you can display side-by-side. 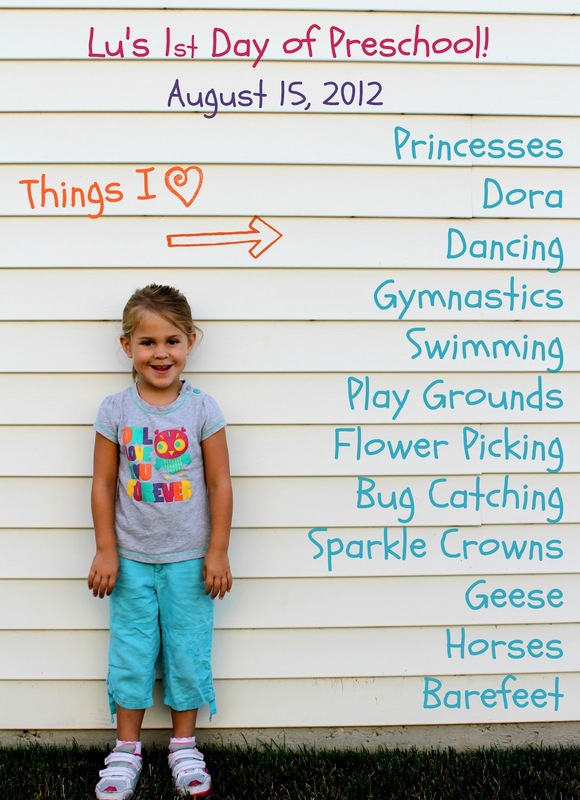 Or take advice from the photo below and create a list of your child’s favorite things on the photo itself. As they get older, you’ll love looking back to see what they loved at every age. These photos will also make great gifts for grandparents and scrapbook additions. Put them to bed with positive thoughts in their heads. Getting a good night’s sleep before the big first day of school is really important. Make sure your kids drift into dreamland for the whole night with some of these printable, DIY pillow gift boxes. These boxes are easy to assemble and can be packed with first day of school goodies or night time treats. 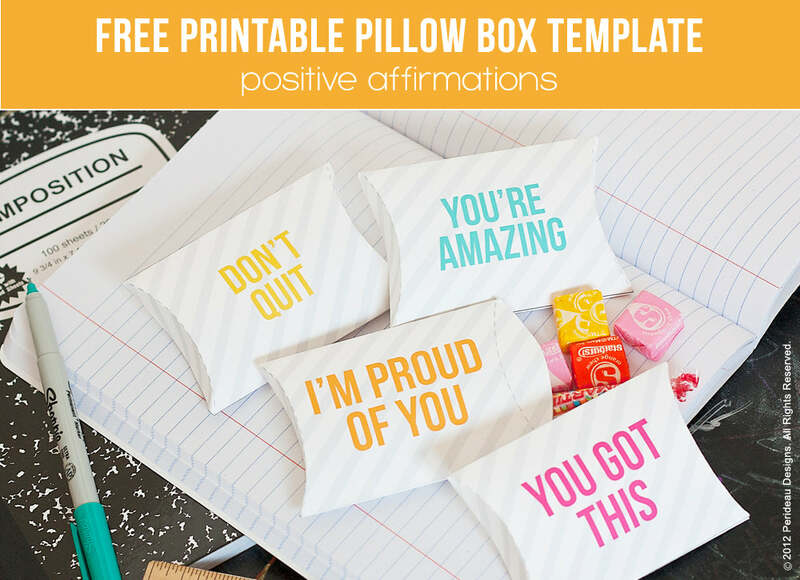 Whatever you decide, you can customize each pillow box for every kid in your household and make them feel better about the big day that’s ahead. Give your kids a fun surprise when they open their pencil boxes for the first time. With these custom labels, not only will you boost their confidence, but you’ll remind them of all the love that’s waiting for them at home. If you have good penmanship, try making your own label. If you’d prefer a little help, you can also download and print off pre-designed labels as well. However you choose to display your love, your child will be sure to appreciate it! We’d be silly to assume that the kids are going to be the only ones with nerves about classes starting again because it might affect you parents too! 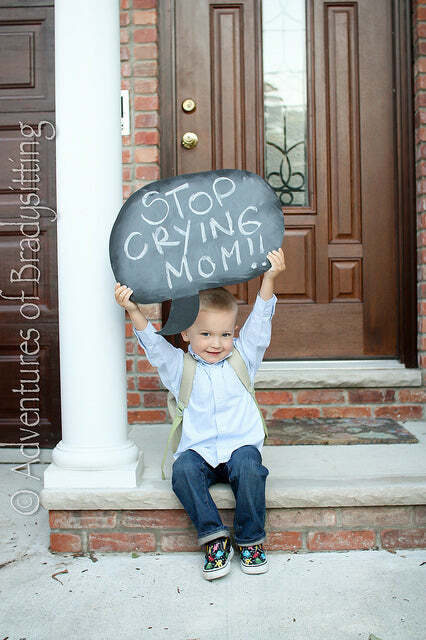 To lighten the mood for everyone and create an adorable photo op, try making funny signs for your little ones to hold up. From “stop crying mom” below to more options like “Dad wishes he could come with me,” you can use your heart and mind to come up with a funny phrase for whatever emotion you’re feeling. Then you can click through the photos and bide your time until the school bus comes back in the afternoon.